Introduction Soviet forces have launched a surprise offensive on NATO's northern flank. Norwegian forces have been caught unprepared and are reeling back under the onslaught of Soviet divisions and airborne forces. No nuclear weapons have been used on land as yet, but over the last 2 weeks nuclear depth charges have already been used. The deployment of Soviet submarines is markedly increasing, as can be seen with the HMS Revenge sortie incident a few days ago. NATO's own attack subs have been deployed and are now en route to the Soviet backyard to repay the visit. Intelligence has concluded the remaining Northern Fleet SSBNs, particularly the new Delta-class, are now in the Barents Sea under constant ASW cover by air, surface and sub-surface units forming a protective ring of steel. But NATO is determined to show the Soviets that their strategic subs have nowhere to hide. 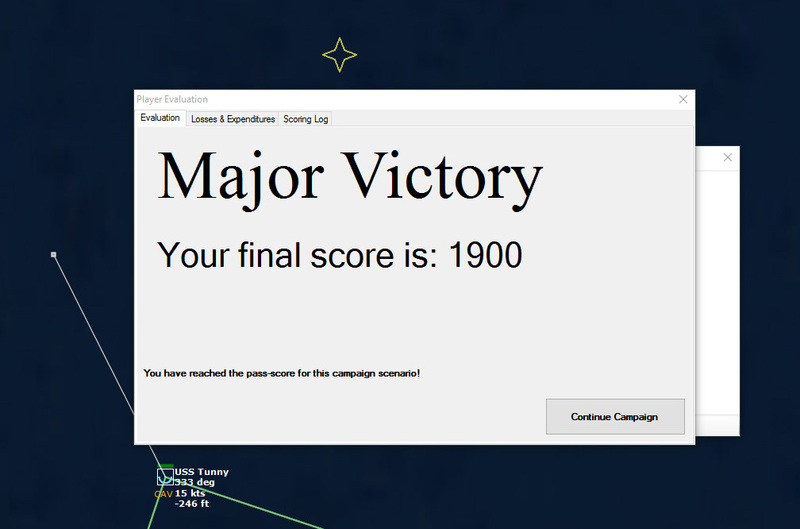 Three days ago, HMS Revenge was sunk by a Victor II SSN [Not in my game! Woohoo!]. NATO has planned retribution for this act and deployed submarines to the Barents Sea. Over the last few days the remaining Red Banner SSBNs have retired to their "Bastion" under the protective umbrella of air, surface and subsurface forces. This mission is vital: it is hoped that threatening Soviet strategic weapon systems will compel Soviet commanders to increase their defence of the Bastion, drawing forces away from the front. Sinking these SSBNs will also reduce the Soviets' essential offensive nuclear strike capabilities. It is NATO's intention to sink the remaining SSBNs in the "Bastion". ***WARNING*** HMS Swiftsure and Warspite locations at present are unknown so ensure correct classification before weapon engagements. 1. Sink at least two SSBNs. 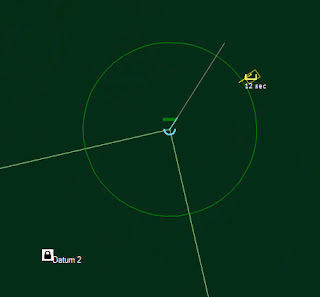 Last known positions available on map, based on Datums 1 and 2 DTG 232200ZAUG75. 2. All NATO submarines are considered expendable, priority is to sink the SSBNs. 1. 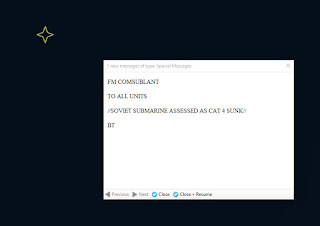 All units are to prosecute last known position of Soviet SSBNs. 2. 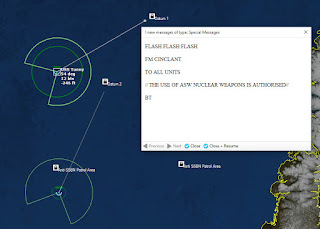 Other surface/sub units are not to be engaged unless they present a threat, the main target is the SSBNs. Tunny goes for Datum 1, while Whale goes for Datum 2. Both submarines dive under the layer. 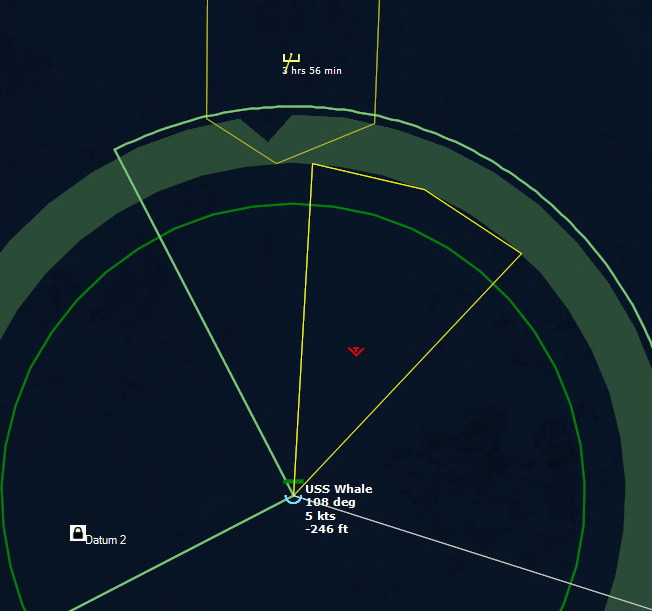 135032Z USS Whale: Contact, Goblin 6 Bearing 328, estimated 16nm. Whale is tasked to investigate the contact. 142500Z Goblin 6 is IDed as biologic in nature. 164849Z Tunny detects a contact, Goblin 7, 070 for 16nm. 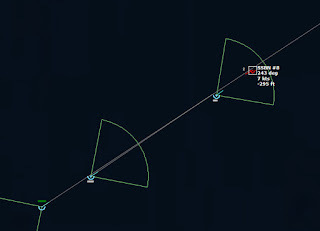 It slow to 5kts to investigate. 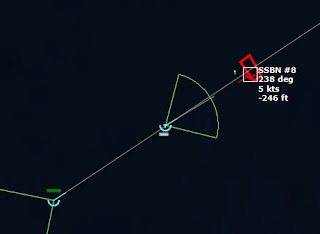 The target is below the layer at -253ft and moving at 3 kts. Goblin 7 is IDed as a submarine, but not sure what kind. 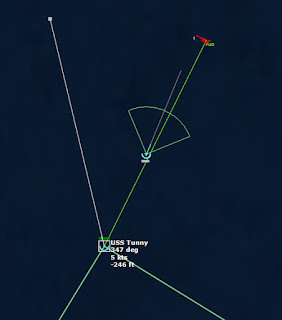 185135Z Tunny closes to within 400 yards...and still the contact is not positively identified. 222552Z Whale detects a contact, 031 for 35nm. It turns to intercept. After a speed run at 12kts, Whale slows down to 5 kts and localizes the contact to 054 at 10nm. 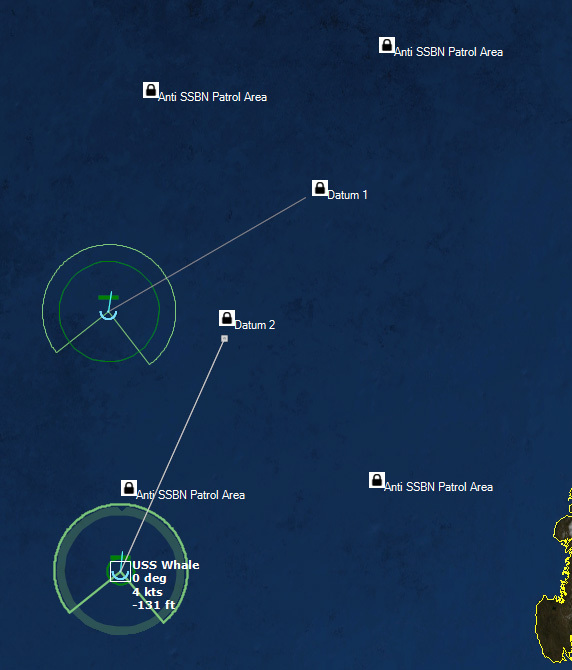 001122Z Whale type classes the submarine as an SSBN. 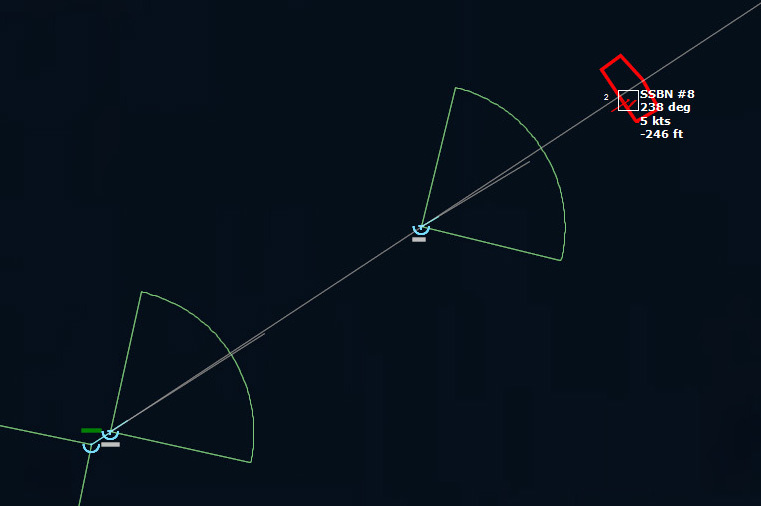 The contact is out of range of torpedoes, so it will have to close the range a bit. 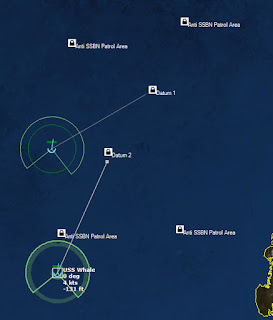 002418Z The enemy sub detects the incoming torpedoes by increasing power and going deep. 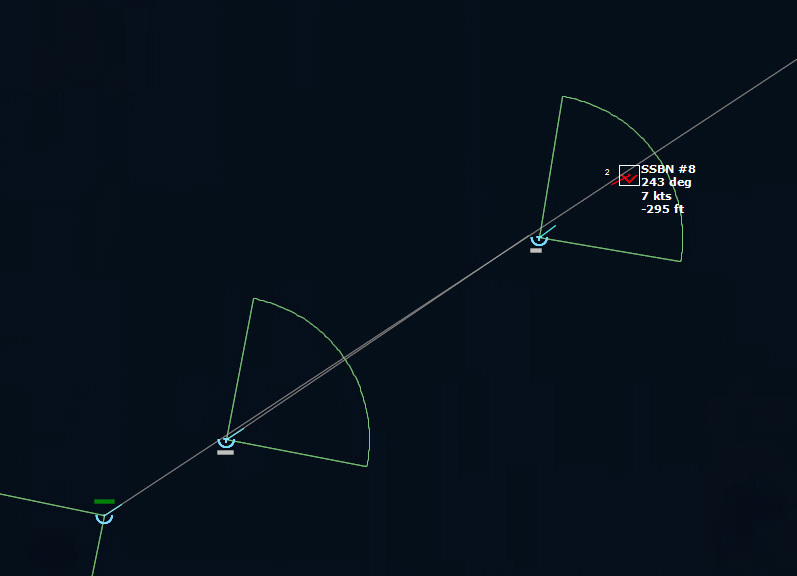 The sub goes down to 787 ft and speeds up to 15 kts, but the Mk48 follows it implacably. The first torpedo closes in. 002528Z Impact. The Delta-class sub K-279 is destroyed. 010644Z Torpedo in the water! 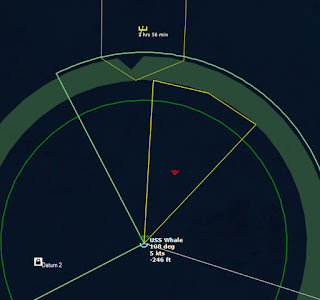 Whale detects a torpedo at 330 degrees, 0nm. It’s close! Whale goes to flank speed and as deep as possible. This must have been an air drop. 010706Z Whale launches a decoy, which succeeds in spoofing the torpedo. 015536Z Torpedo in the water, bearing 023! Whale goes deep and guns its engines again, but it is not enough. USS Whale is hit and sunk. 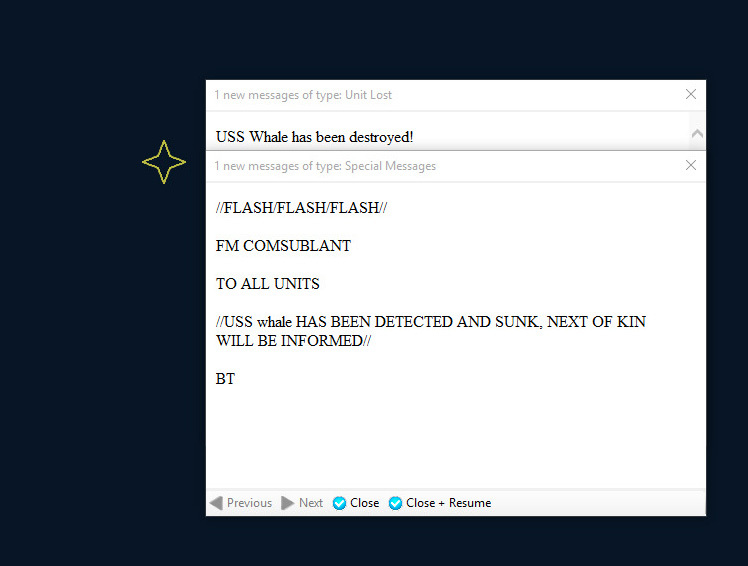 USS Whale sinks, and "Next of kind will be informed." Thanks for rubbing it in. 140751Z Twelve hours after the sinking of the Whale, USS Tunny detects a contact, a surface contact bearing 242, est 6nm. 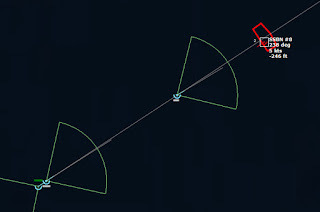 It maneuvers to avoid the potential threat. Tunny detects a surface contact. 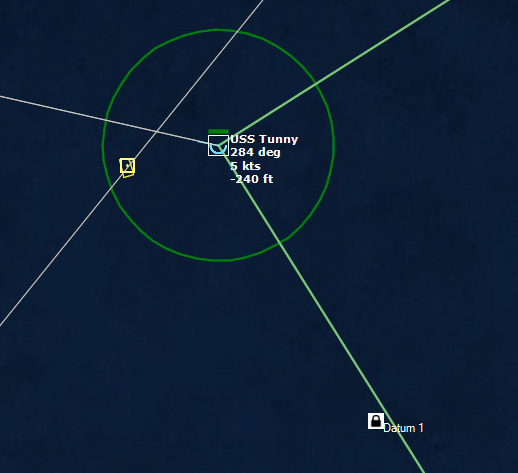 August 27, 1975 011507Z Ten hours after that, Tunny detects a submarine contact. 014857Z After some 30 minutes closing in, the contact is classified as an SSBN. Tunny closes in on the new contact. Match generated bearings and shoot! 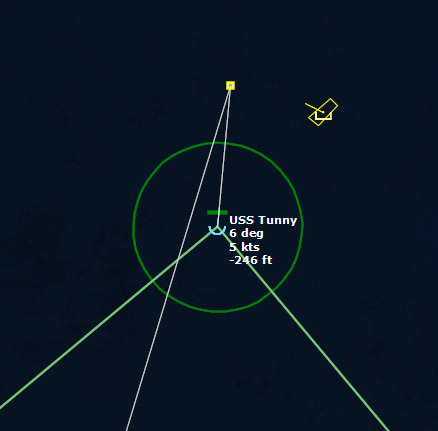 031434Z Tunny closes to within torpedo range and launches. 032404Z The Delta I sub has no chance, and it is hit and sinks.